Placenta and amniotic fluid have started forming in 3rd week, and in the 4th week of pregnancy, baby’s most essential body parts begin to form. At this point, your baby is no bigger than a seed. Minutiae: Did you know that only 2% of all pregnancies bear twins! Ectoderm which will become the baby’s nervous system, eyes, hair and skin. Your baby is still very tiny between 0.3 mm and 1mm in length, similar to the size of a poppy seed, or the head of a pin! Up to this week, some mothers do not know they are pregnant. So, this is the best time to do a home pregnancy test. HCG hormone, also called the pregnancy hormone, is surging at this point and it can be readily detected in the urine. Physical changes during the 4th week of pregnancy are not apparent because the baby is so tiny. Meanwhile, the following symptoms are commonly observed during the 4th week. 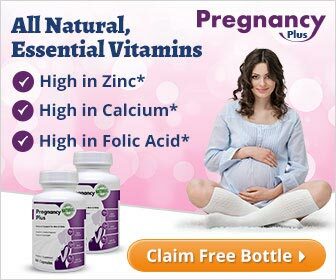 PMS Symptoms: There is a high tendency that pregnant mothers experience premenstrual symptoms. These include but not limited to bloating, mood swings and cramping. Breasts become more tender and bigger. PMS-like symptoms in pregnancy are caused by progesterone that slows down the overall body process to allow nutrients reaching the baby’s blood stream. Implantation Bleeding: Mothers might still experiencing implantation bleeding during the 4th week of pregnancy which is characterized by harmless, light pink to brown spotting. Implantation bleeding occurs when the fertilized egg is on the act of implanting into the uterus’ However; only a few women get this symptom. Morning Sickness: As early as 3rd or 4th of pregnancy, mothers are likely to become easily nauseous or experience the hallmark sign of pregnancy – the morning sickness. For some people, it is the most notorious symptom of pregnancy because mothers can throw up anytime and everywhere. Statistically speaking, more or less 95% of pregnant women get it. Morning sickness is harmless and natural, but some women experience severe vomiting which is referred to as hyperemesis gravidarum. Early pregnancy symptoms may also include headache, frequent urination, loss of appetite (due to morning sickness) and back pain. During the 3rd week of pregnancy, the placenta starts to form and thickens until the 4 month. At this period, the placenta continuously develops and now, carrying nutrients to the baby. Did you know that despite placenta is made up of shared tissues; it maintains the barrier between the mother’s blood stream and of that of the baby? In addition, baby’s umbilical cord is still forming, and the baby is developing at a quicker rate. Drink More Fluids: Keeping hydrated increases blood flow to placenta and helps fight constipation. Hit the bottle of nutritious drinks such as skim milk, natural fruit juices and yogurt. Know The Right Nutrients to Get: According to the American College of Obstetricians and Gynecologists, the most important elements for the mother-baby nutrition are foods rich in iron, folate, calcium and vitamin D. Note: women who have more weight need higher dose of supplements. Eat in Moderation: Health experts say that mothers need not eat for two. This is the most common misconception of many pregnant mothers. The truth is maintaining a well-balanced diet and eating a variety of foods every day would suffice. Not all Foods are Safe to Pregnant Mothers: Moms-to-be should be vigilant of every food they take as not all foods are safe for babies. Some of these are foods high in mercury content (shark), raw and uncooked foods and unpasteurized products (soft cheese). Warm Up Before Exercise: Warm up stretches your muscles and prepares your body for intensive workouts. Avoid potential injury to the abdominal region by forgoing contact sports and activities involving heights. Exercise should be low-impact. This means no bouncing or jumping. Swimming and brisk walking are good aerobic exercises for pregnant mothers. Wear support bra. Remember, mothers during this stage experience swollen and tender breasts. Limit discomfort by investing in a good support bra. Never go exercise on an empty stomach. One of the most common fallacies in performing the exercise, mothers should not do exercise without taking anything. Eat snacks at least 30 minutes before the activity. Pregnant mothers during their 4th week are not spared from encountering complications. Notify your doctor if you encounter any of these following symptoms: unusual pain, severe cramping, chest pain, uterine contractions and unusual vaginal discharge.